Did you know that underfloor heating (UFH) can be paired with a wide range of floor coverings, including vinyls and even carpet? In this blog post we take a look at the most popular floor coverings and their compatibility with UFH, any considerations or limitations and also which are the best partner for UFH, offering a good heat transfer. The best floor coverings for use with underfloor heating are hard surfaces such as stone and ceramic tiles as they have the least resistance and transfer heat effectively. Stone and ceramic are the most thermally conductive of all floor coverings allowing the energy from the UFH heating tube to transfer quickly to the surface of the stone/tile. Increasing the thickness of the tile will have little effect on the heat output, but it will slightly increase the heat up time. With stone and ceramic tiles it is always advisable to use a de-coupling membrane and flexible adhesive to reduce the potential for any hairline expansion cracks. Polished screed – By its nature, screed is very conductive and although unusual, it is well suited for use with under floor heating. Limestone – Of all stone floor coverings, limestone requires the most care and attention during installation. 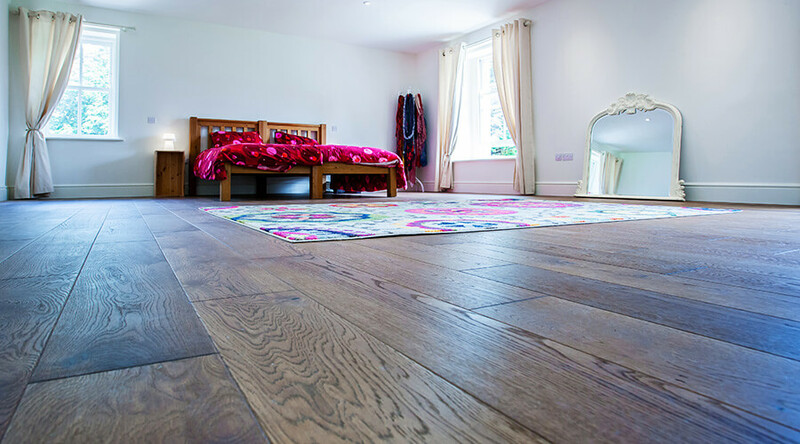 If the desired look includes a wood floor, engineered timber is the best option for use with underfloor heating, as its structural stability allows it to perform well with fluctuating temperatures. Solid hardwoods and soft woods also transfer heat well but care should be taken when specifying the board width and thickness, as these can warp under temperature. Engineered timber – A more stable option than solid timber, due to being cross-laminated, its moisture content is less critical. It can be laid directly over the underfloor heating as a ‘floating floor’ or nailed into battens or joists. Unless installed over a screeded slab, engineered boards of less than 20mm thickness should be supported and fixed to an additional decking material to lend suitable structural support. Solid hardwood – It is always best to use a kiln-dried timber with minimum moisture content, store it in a dry place before installation and fit a floor temperature sensor to reduce the chance of the timber overheating. Soft woods – Most soft woods can be used with underfloor heating but it is not recommended for use with any high heat output systems as it can cause them to warp under temperature. Always fit a floor temperature sensor. Parquet – Also suitable for use with underfloor heating, these floor blocks should be continuously glued onto the screed or timber deck for good heat transfer. Again, always fit a floor temperature sensor. Many homeowners are unsure whether they can use a laminate or vinyl with underfloor heating but this type of floor covering actually performs very well. It’s important to check the manufacturer’s recommended maximum floor surface temperature to ensure that the covering is suitable for use with underfloor heating. Most manufacturers state 27°C, which is more than adequate in most situations. For any sensitive floor coverings, or where a system with a high heat output is being installed, a floor temperature sensor should be fitted to limit the heat output from the floor. 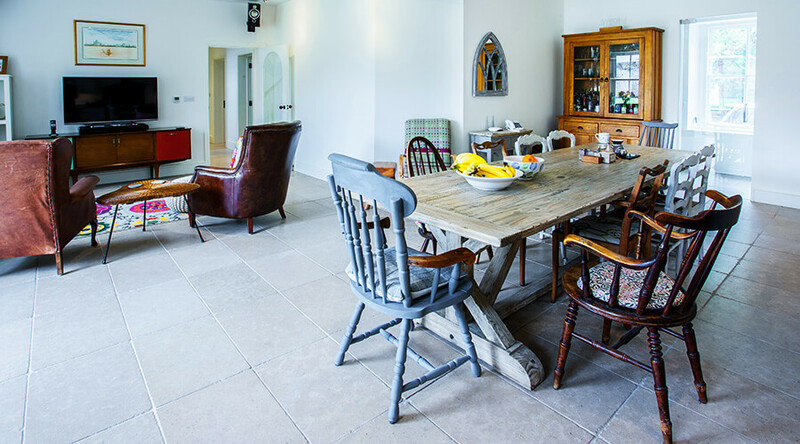 Vinyl – Vinyl works well with underfloor heating as the heat can easily permeate the slim layer. However, as most vinyls should not be heated to above 26°C, the underfloor heating should be restricted. Because of this, vinyls are not suitable for any rooms with high heat losses, like a conservatory, as it would not be able to sufficiently heat the room when restricted. Amtico – A practical and highly versatile flooring, Amtico is a popular choice of floor covering. To avoid any discolouration or damage, the floor temperature should be limited to 27°C. Carpet is still a popular floor covering, especially in bedrooms. Carpet and underlay with a combined tog value of up to 2.5 can be used effectively with underfloor heating, anything thicker than this will act as an insulator and stop sufficient heat reaching the room. The choice of floor covering should be taken into account before you choose an UFH system. Nu-Heat will be happy to advise on the suitability of any floor coverings and will also consider this in the design, making sure that floor temperature sensors are provided for particular rooms and that the heat outputs are sufficient in others. For more information on floor coverings and their compatibility with UFH, visit www.nu-heat.co.uk/floorcoverings or call us on 01404 549770.